Economics development and individuals’ well being are more and more linked to the quality of politics and institutions, the effectiveness of public policies, the efficient managing of organizations, the interconnection between national and international institutions, the cooperation between public and private, profit and non profit sectors. Our department analyses the development of institutions, the formulation and implementation public policies, the management of the public sector and the relationships between public and private companies. 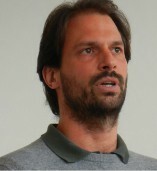 Paolo R. Graziano is Associate Professor at Bocconi University. He teaches Political Science, Public Policy Analysis and Comparative Politics. He has published two books in Italian and edited two volumes: Europeanization. New Research Agendas (with M.V. Vink, Palgrave, 2007); The EU and the Domestic Politics of Welfare State Reform. Europa, Europae (with S. Jacquot and B. Palier, Palgrave, 2011). He is working on an authored book on Europeanization and Domestic Politics Change (Routledge, 2012). He has also published on Europeanization, cohesion, social policy issues and political consumerism in the following journals: European Journal for Political Research, European Political Science, Regional and Federal Studies, Social Policy and Administration, Governance, International Journal of Labour Law and Industrial Relations, Global Social Policy, Journal of Social Policy, European Journal of Social Security, Aggiornamenti Sociali, Rivista Italiana di Politiche Pubbliche. Alessio Bertolini has a Bachelor degree in Management of Public Administration and International Institutions from Bocconi University, Milan (completed in 2008 with1st class honors). He recently graduated in the Master in Economics and Social Sciences in the same University. After a short period as a research assistant in the Research Centre KITeS (Knowledge,Internationalization and Technology Studies), he is now working as a researcher at the EU Project LOCALISE. 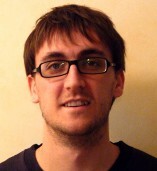 Matteo Bassoli is Research Fellow at the Bocconi University. As member of the Department of Policy Analysis and Public Management, he undertakes research on the functioning of private-public partnerships and their network structure. 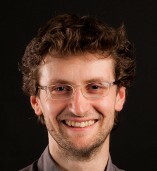 He worked on civic engagement, both as researcher and consultant and has collaborated with research centers such as URGE (Turin), POLEIS-Bocconi (Milan) and was visiting scholar at the School of Public Policy (University College of London), Germe/Metices (Université Libre di Bruxelles) and Cevipof – SciencesPo. He has written extensively on governance and local participation: two authored book in Italian (one with P. Graziano on the policies of corporate social responsibility promotion, one on youth associational participation with L.Monticelli and C. Pincella) and important edited volume on local governance in Italy (with E. Polizzi). He has also published on local governance arrangements, political participation and precariousness in the following journals: Governance, International Journal of Urban and Regional Research, Social Movement Studies and Sociologia del Lavoro. 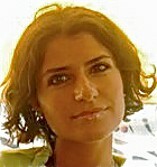 Serida Lucrezia Catalano received a degree in Political Economy at the Bocconi University, and a PhD in Institutions and Public Policies at the Università degli Studi of Milan. She was visiting scholar at the Department of Political Science at the University of California, Los Angeles and undertook several courses in formal modelling and game theory at the University of Michigan, Ann Arbor. She is currently a Researcher at the Department of Policy Analysis and Public Management. Her work has been primarily on the impact of the strategic interactions among political actors in determining the launching of public policy reforms and socio-modernization processes in North Africa, with special emphasis on gender issues. 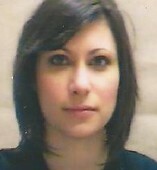 Lara Monticelli is Ph.D student in Economic Sociology at University of Brescia, Italy. She graduated in Economics and Social Disciplines at Bocconi University in 2009 with a dissertation on youngsters precarious political involvement. Her research interests concern sociology of work, unemployment and precariousness, political participation and social movements with a specific focus on youth issues. In the last years, she was part of the European research project YOUNEX (Youth, Unemployment and Exclusion) concluded in August 2010.